One of the things that most people take for granted is their youth. When people are young, they are full of energy and are capable of doing so many things for the sake of Allah Ta’ala, but often we see that this energy is wasted in one way or another. When people lose their youth, they inevitably find it harder to do those deeds and acts of worship that they found somewhat easier to do at a younger age. With old age, people find it harder to keep fard (obligatory) fasts, they may not be able perform wudhu properly or to pray properly, and they may not have the energy to recite the Qur’an very often. It is common to hear young people claim that they will start ‘practicing’ Islam when they get older. We should always be mindful of the fact that ‘older’ may never come round for us. We have no guarantee that we will even be alive tomorrow, let alone be alive to see our pensions, or our grandchildren. And even if we are blessed with a long life, how can we be sure that we have the health – physical and mental – to practice Islam? On top of all this, we should remember that people do not just magically become ‘good’ overnight; often, we find that bad habits are hard to shift – what if we can’t get rid of our bad habits when we get old? 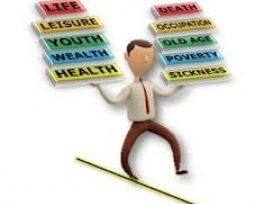 As with our youth, we often take for granted our health. 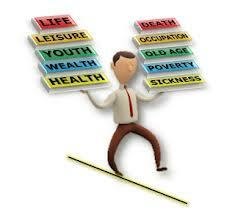 We are advised to take advantage of our good health before we are overcome with illness or disability. What we often don’t realize is that our health is a blessing from Allah Ta’ala. When we are in good health, we take it for granted and don’t always appreciate what we have. It is only when we fall ill that we realize what a great thing we had and how we let it go to waste by not doing as much ‘ibadah (worship) as we know we could – and should – have done. Wealth is another blessing granted to us by Allah. Wealth in this context does not necessarily mean that we have large amounts of savings, or the fact that we can afford a huge house, a top-of-the-range car and a state-of-the-art media system. The simpler things such as a roof over our heads, clothes on our backs and food in our fridges make us amongst the world’s wealthiest people – a fact that we, more often than not, seem to overlook, particularly when we see people that have a lot more worldly possessions than we do. There are millions of people in the world today that don’t even have a drop of clean water to drink, and they don’t know where their next meal will be coming from. These are the people that we need to be helping with our wealth. Even a small donation can go a long way. Islam always encourages us to make the most of our time, and to spend as much of it as possible in the way of Allah. We should utilise the time we have available to do as much good as we can, because before we know it, this time will have passed. As mentioned above, we should use the time we have in our youth to do as much in the way of Allah as possible, because as time passes, as well as having to contend with old age and all that entails, we will inevitably have a lot more things to worry about, like jobs, homes and families – things that most of us at this present moment aren’t necessarily worried about. If we think that finding the time to practise Islam is difficult now, what will we do when life really starts to pick up pace? There is nothing wrong with getting married and having a family, but we should appreciate the relative freedom that we have now, and spend as much of it as we can on good deeds. In line with the above ayat (verses), we have to discipline ourselves by giving value to the importance of time. We should be prompt in doing good deeds, which will increase our faith and subsequently enable us to gain Allah’s pleasure and mercy. Often we do not fully appreciate how great a blessing it is to be given another chance. We become relaxed about death, and we don’t fully comprehend or appreciate that at some point – and only Allah Ta’ala knows when – our life will be taken away from us for good, leaving no second chance, no opportunity to make up for the wrongs we have done, and no turning back time. We must not forget what a mercy life is. We should savour every moment and use it to our best advantage. This means pleasing Allah in order to achieve our ultimate goal – Jannah. I pray that Allah Ta’ala grant us the tawfiq to make the most of all that He has blessed us with, and that He accepts all our efforts Insha’Allah.